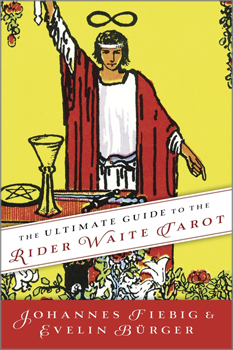 Originally published in Germany, The Ultimate Guide to the Rider Waite Tarot provides a wealth of meanings for each card of the world's most popular tarot deck. Discover the primary meaning, spiritual meaning, daily meaning, prognosis, relationship meaning, and luck meaning of each card. Authors Johannes Fiebig and Evelin Bnrger also provide the ten most important symbols of each card in vibrant four-colour illustrations throughout the book. In addition to an overview of the major and minor arcanas and insight into tarot's relationship with astrology, several quick top-ten lists are provided, including: best tarot definitions, most important facts about tarot, favourite ways of using a single card, most useful tips for interpretation, most important rules for interpretation, and most important interpretations of each suit.